It's good to start with this Bonus Module because we'll be going over the Energy of Manifestation. Before you begin your manifestation process, it's important to learn about how energy works in the Universe, in our Minds and in our Bodies. You must first understand that you hold the energy that creates your world — and therefore the manifestations you experience in your reality. In this bonus lesson, we'll be talking all about Mind Energy and how the Conscious and Subconscious play important roles in your reality and manifestation process. 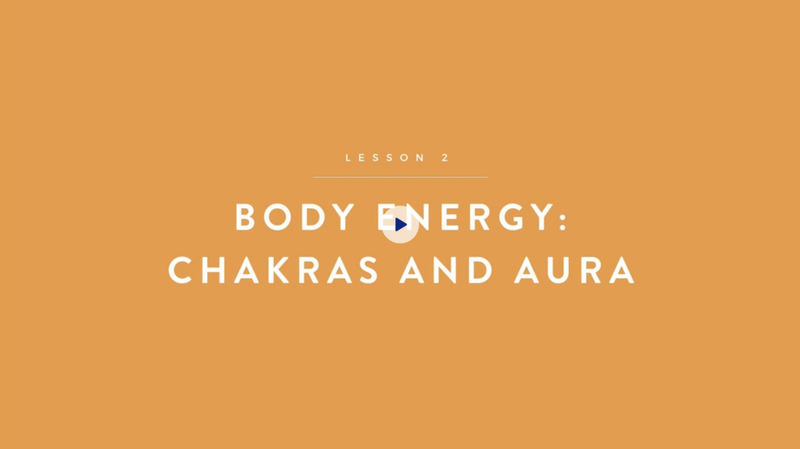 In this lesson, we're moving outward from Mind Energy and into Body Energy through our Chakras and Aura (Energy field). Your body holds energy that impacts everything from your emotional, physical and mental states. Did you know that you can be harboring blocked energy that can negatively affect your overall well-being? In this bonus lesson, we'll be going over 6 different Laws of the Universe (Laws of Nature) and you'll gain a better understanding on how Universal Energy is working in and around us all the time. When you work with Universal Energy (rather than resist it), then you begin to flow not only with nature, but with the Universe.